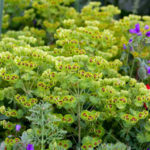 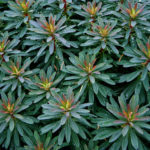 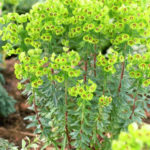 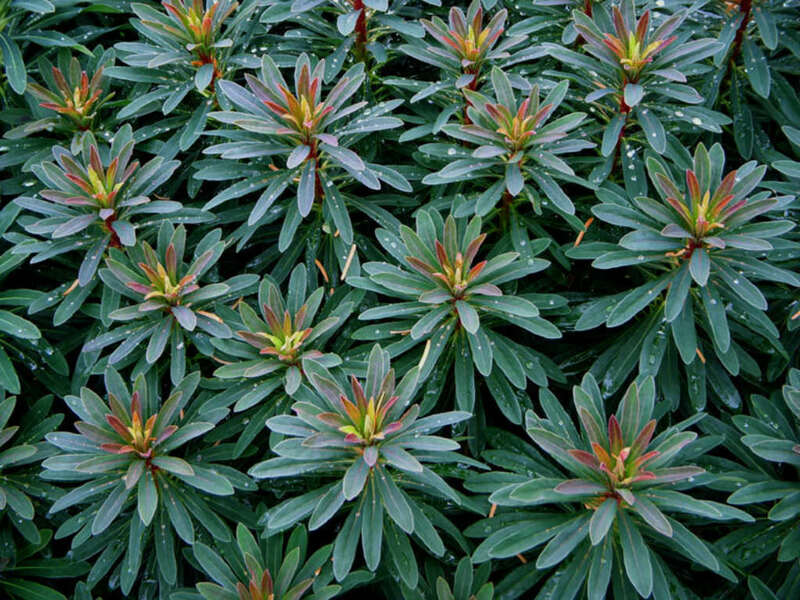 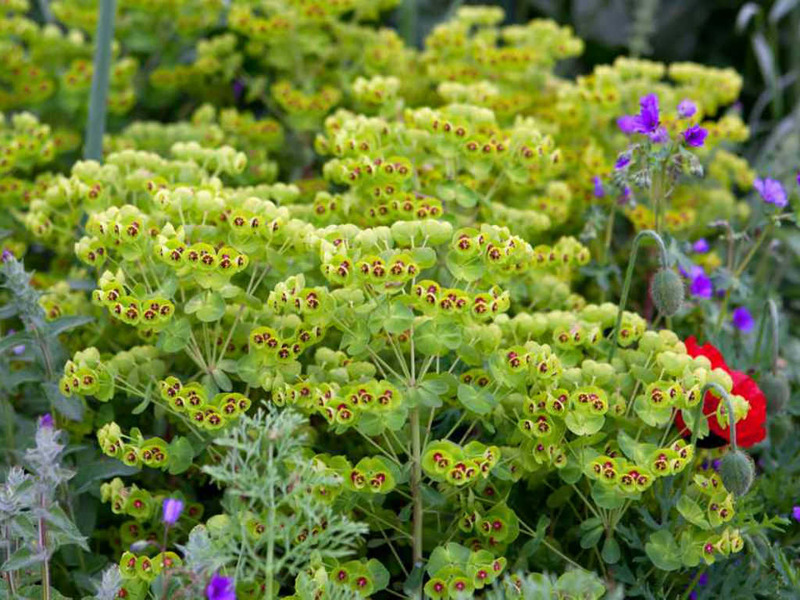 Euphorbia x martini is a dwarf, evergreen subshrub, up to 2 feet (60 cm) tall, with narrow, dark gray-green leaves on stiff stems. 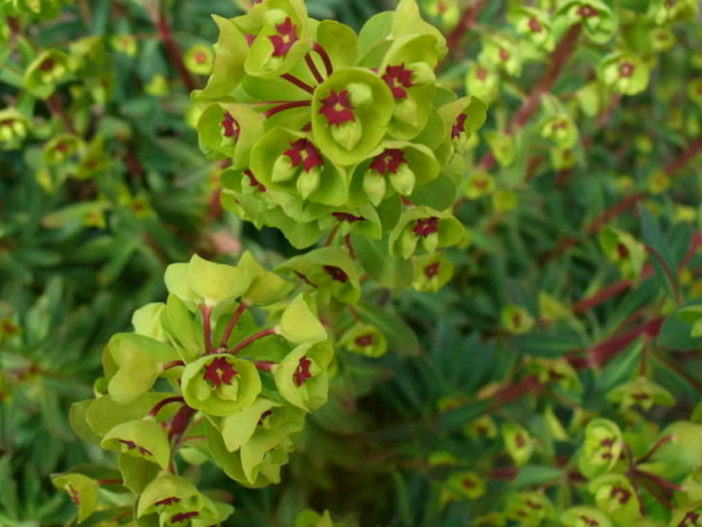 In late spring, it sports dense sprays of greenish-yellow flowers, often with a red or maroon eye. 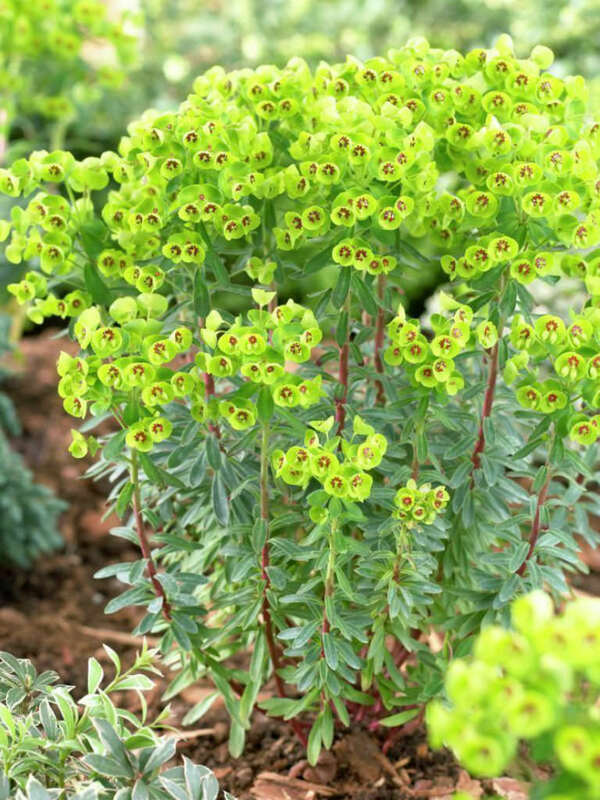 Euphorbia x martini is a natural hybrid of Euphorbia characias and Euphorbia amygdaloides and was discovered growing wild in southern France.